Florida is home to Disney, beaches, sunshine - and some of the best dining experiences you'll ever have. Foodies and beer enthusiasts alike are sure to enjoy their trip down South, especially after reading up on some of the best breweries and best restaurants in Tampa, Florida! 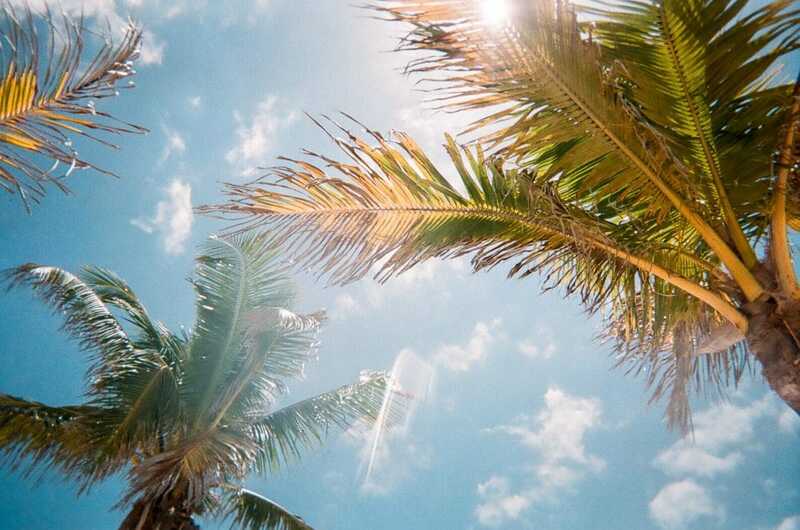 When you hear someone mention “Florida,” what’s the first thing that pops in your head? If you’re like most people, you probably think of Disney World, alligators, and probably one or two headlines mentioning the infamous “Florida Man.” But what about food? You might not realize Florida’s culinary scene offers more than orange juice and a Cuban sandwich – particularly in Tampa. In fact, some of the best restaurants in Tampa Bay offer the state’s finest dining. Helping to push along Florida’s rising restaurant scene are its breweries. 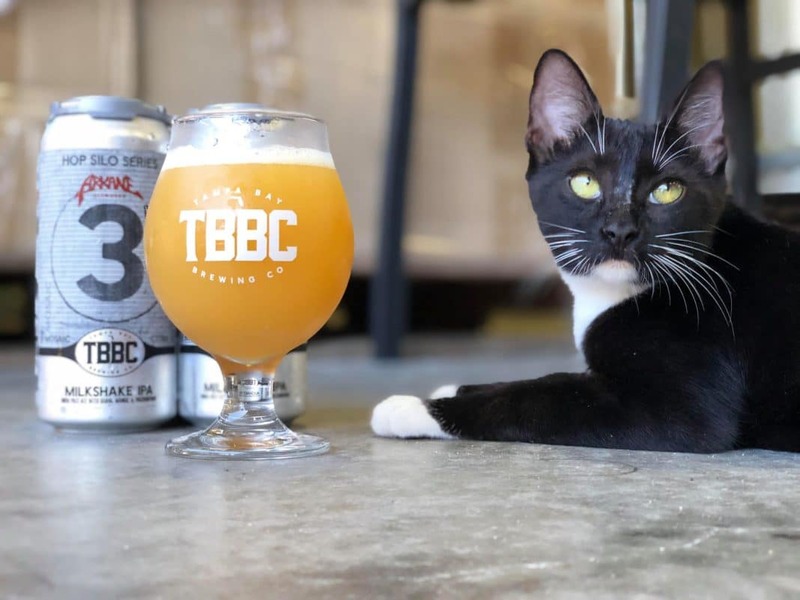 Craft beer has exploded in the past ten years, and the state’s biggest craft beer scene is by far in the Tampa Bay area. 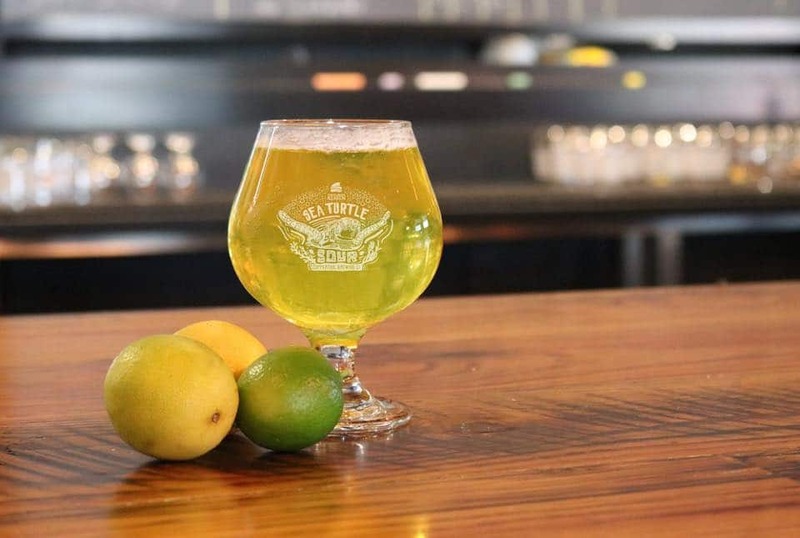 Foodies and beer enthusiasts will be well taken care of on their trip to the Sunshine State. 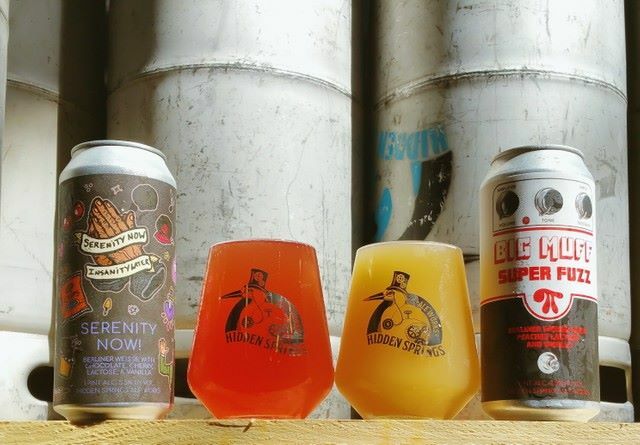 Trekkies, take note: these are the top breweries and best restaurants in Tampa, Florida! Brewery #1: Cigar City Brewing Co. 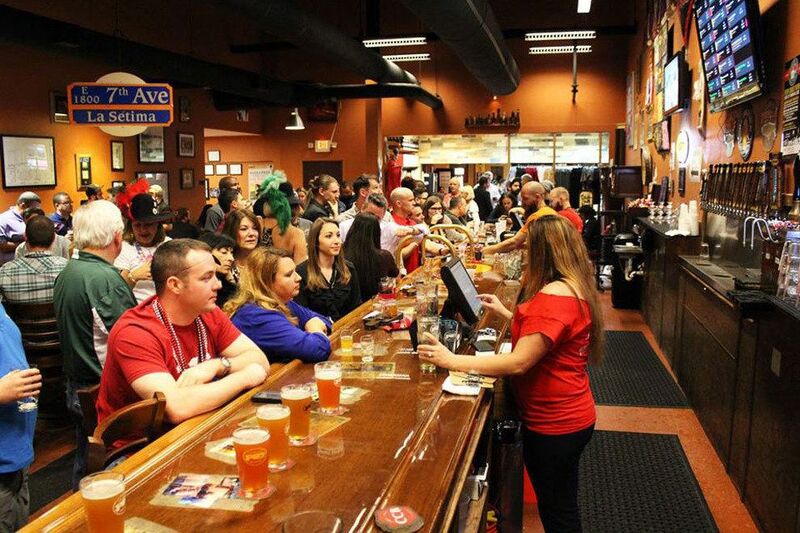 If you Yelp "Tampa," Cigar City Brewing is sure to pop up. Seen as a top contender in the Bay area's brewery scene, Cigar City Brewing prides itself in creating nationally ranked craft brews. The small, intimate operation solely focuses on the art of craft brewing and strives to create brews that have never been tasted before. For only $8 visitors can take a tour of the facility and taste some of their fan favorites, including the Maduro Oatmeal Brown Ale, the Jai Alai IPA, and Florida Cracker white ale. But why stop there? Venture into the tasting room and sample everything that's on tap. Cigar City Brewing conjures up liquid gold that all Tampa Bay tourists must try. Because the brewery also serves food... Go ahead and add it to your list of the best restaurants in Tampa, as well. This is absolutely considered one of the best restaurants in Tampa. And for those who prefer a cocktail over a brew and fine food to go with it, Edison: Food + Drink Lab is the place to go. Viewed as one of the top restaurants in Tampa, Edison has a large lunch, dinner, drink, and a dessert menu that features the best ice cream in Florida, according to Food Network Magazine, making it seriously one best restaurants in Tampa for you to explore. May we recommend sampling the raw oysters to start followed by the famous Edison bouillabaisse and topping it all off with banana hazelnut sorbet? Yes, the taste is as mouthwatering as it sounds. Edison is one of the best restaurants in Tampa for a reason. Brewery #2: Coppertail Brewing Co.
Found in the historic Ybor neighborhood of Tampa, Coppertail Brewing Co. is an independently owned facility and tasting room that coins itself as being "Florida inspired" but "Tampa brewed." Though the facility is spacious it's usually quite crowded – and with good reason. Coppertail has an abundance of funky brews, including sours like Jam Salad or Raspberry Peach. They have a food menu, but we recommend sampling Tampa dining elsewhere and simply hunkering down for a beer. Dinner can wait. West Tampa Sandwich Shop is hands down one of the best restaurants in Tampa. It's so good, even President Barack Obama stopped by for lunch. Sporting a much more casual vibe, the menu features handmade sandwiches at an affordable price. Staying true to Florida's Cuban roots, West Tampa Sandwich Shop has a variety of Cuban sandwiches to offer, including the Honey Cuban (aka "The Obama Sandwich") and the Frita Cuban Hamburger. These sandwiches make for the best comfort food or quick bite while beach hopping around the bay searching for the best restaurants in Tampa. Don't let its size fool you – Angry Chair Brewing rotates its tap so often that you could visit the small, friendly facility every week and still not sample all it has for offer. Though Angry Chair offers all styles of beer, they're best known for their stouts and, according to them, there is line they won't cross in that area. Some of their unique blends include the German Chocolate Cupcake Stout, the Cinnamon Macadamia Cookie American ale, and their Double Stuff Fudge Bucket – all made in house, all sure to satisfy stout lovers everywhere. If you are still unconvinced that the best restaurants in Tampa are some of the best restaurants you'll find in the world, give The Refinery a go. This Tampa-area restaurant favorite works closely with farmers, artisan, and suppliers to create a unique farm-to-fork dining experience. They switch up their menu three to four times a week and make all of their meals both in-house and from scratch. A restaurant that can only be described as a foodie heaven, The Refinery is committed to serving exclusively Florida-sourced foods grown by ethical farming methods. 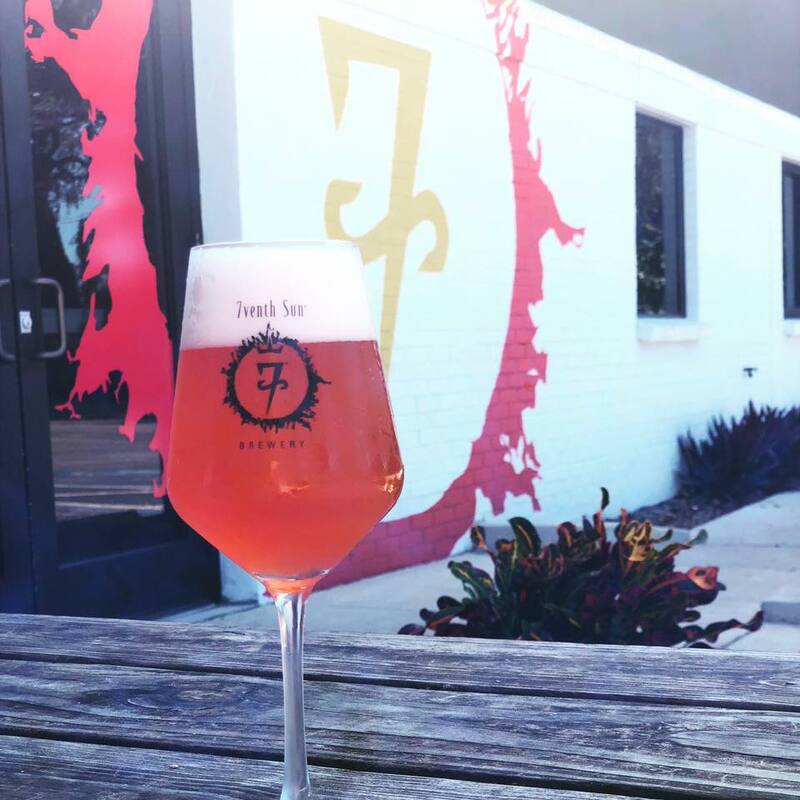 Yet another reason why The Refinery is one of the best restaurants in Tampa is that they also work with Coppertail Brewing Co. to ensure that even the beer list supports the local food industry. If you're wondering what Florida is known for... it isn't Italian food. But Bianchi's Enoteca is known as being one of the best restaurants in Tampa for fine-dining. The hand-selected wines, gourmet entrees, and intimate setting makes for one of the best date spots in Tampa. Guests can keep it simple with a Italian BLT (made with pancetta, of course) or keep their pinky fingers up while enjoying poached lobster and bolognese (we advise you do not visit a brewery before coming here as you will be at risk of being too full for a charcuterie board.) This is sure to be one of the best restaurants in Tampa you'll go home and tell your friends and family about. If you thought The Refinery was the most locally-sourced Florida restaurant, think again. Big Ray's Fish Camp serves up some of the best seafood in town with fish caught directly from the Tampa Bay and is easily one of the best restaurants in Tampa. So if you're in the mood for authentic Tampa dining, look no further. Big Ray's maintains a fun, casual vibe with affordable but unique eats, like the Grouper Rueben, Grouper Cheeks, and the Grouper Sandwich (seriously, there's a lot of grouper fish in Tampa.) Don't come to Big Ray's if you're looking for fine dining in Tampa; come to Big Ray's if you're ready to experience one of the best restaurants in tampa and stuff your face with greasy grubs that will put you into a food coma for days. Rock Brothers Brewing is unlike any other brewery on this list. Not only do they specialize in great beer (their Imperial IPA is all the rage) but they also make an effort to support local artists but displaying their work and putting on performances in the brewery's "Attic," an upstairs venue where musicians perform. As Rock Brothers puts it, they are dedicated to partnering music and peer together in a "new and innovative way." They also serve speciality cocktails for folks who are gluten free or are one of the crazy few who don't like beer. What more can you ask for? Though Hidden Springs Ale Works doesn't top other breweries in numbers of beers on tap, they make up for it by serving top-notch brews created in-house. Similarly to Rock Brothers Brewing, Hidden Ale supports Tamp-based artists by featuring their work. In terms of their beers, Hidden Ale isn't afraid to take a few risks. Customers speak highly of the Deja Moo Milk stout nitro pour. 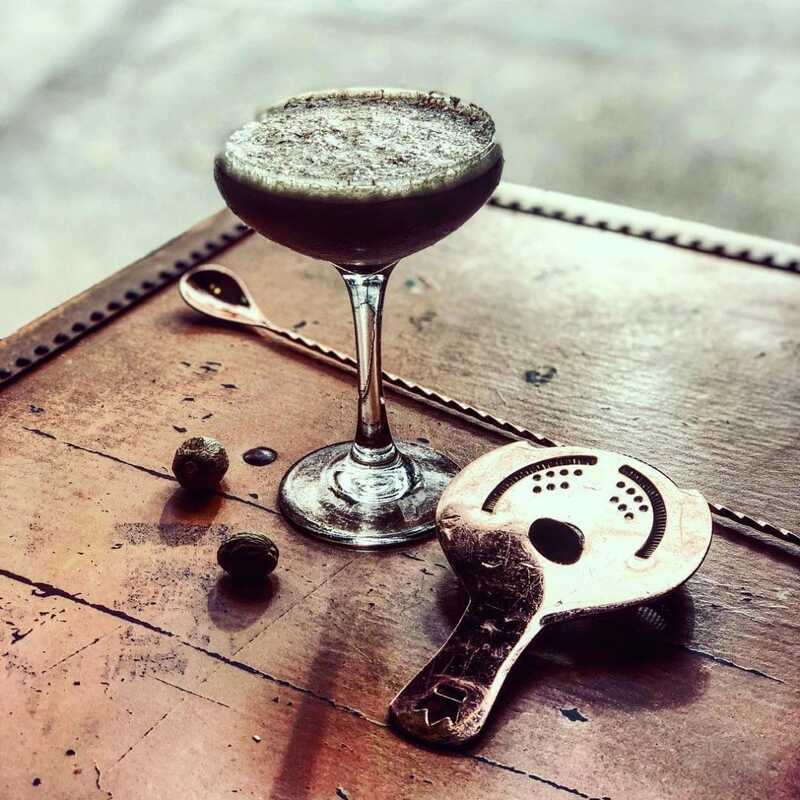 Creaming with just the right amount of sweetness and blend of cocoa and chipotle, the taste lingers just long enough to settle perfectly on the palate. The facility also offers special deals every week, such as Yappy Hour Monday; customers who bring in a four-legged friend get 20 percent off the entire tab! 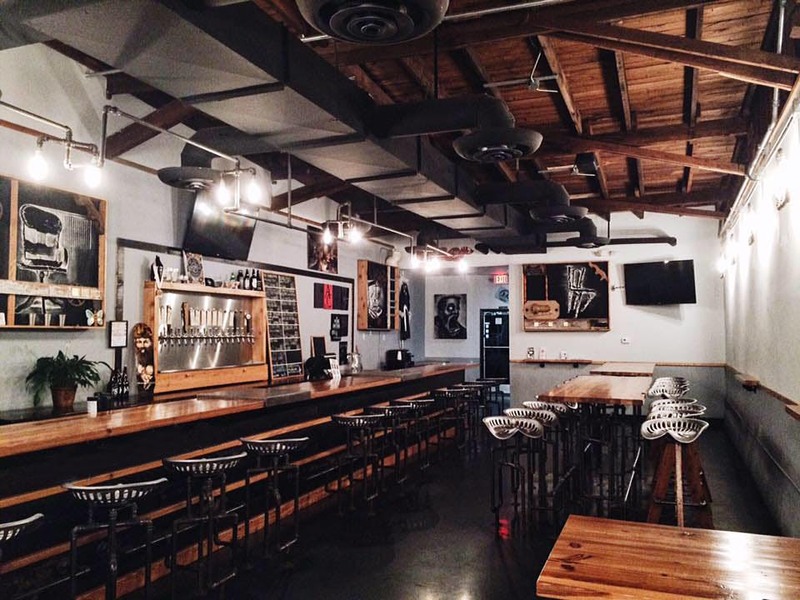 Overall, Hidden Ale offers a hip, fun, eclectic vibe in the Tampa Bay area that will guarantee a good time. In addition to being one of the best restaurants in Tampa, Ulele has an interesting origin story to share. Located along Tampa's Riverwalk, Ulele celebrates the fusion of fresh ingredients from Tampa's own bay and and Floridian land that was once home to many Native American tribes – including the tribe of princess Ulele. The menu, which primarily features seafood, offers classic entrees like Shrimp and Grits with more unique options, including the Florida Pompano, the Gouda Grouper, and Crab Mac & Cheese. The facility is also home to the Ulele Springs Brewery, a 2,100-square-foot brewery that offers freshly brewed lagers and ales. If you are still asking yourself what some of the best restaurants in Tampa are, Ulele is one of them. 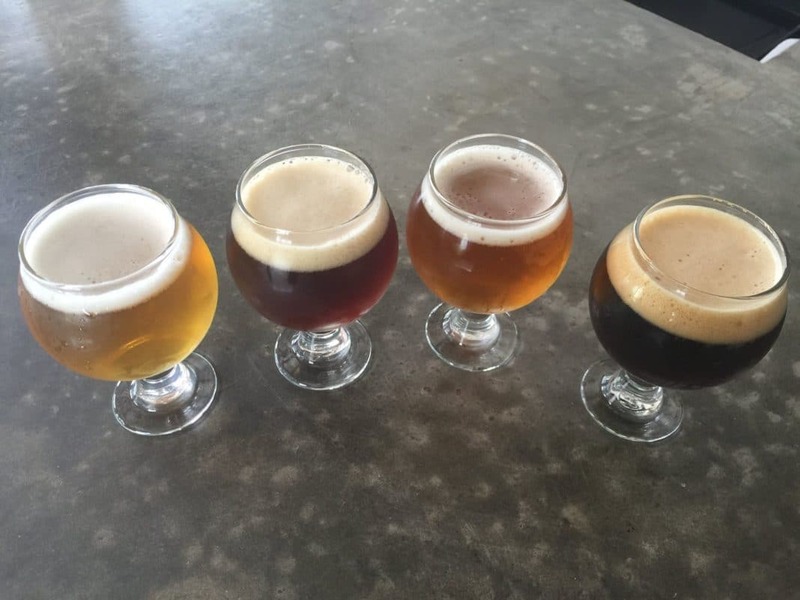 Get a group together and spend an afternoon at Six Ten Brewing! This facility is known for its efforts to bring the community together. Not only does Six Ten feature a wide variety of its own brews on tap, they invite nearby vendors to bring in their own beers to put on their "guest tap." Six Ten also understands that an afternoon at a brewery isn't complete without food at the table to share. Food trucks and area vendors are consistently rotating in and out of Six Ten to give guests a taste of Tampa dining! To top it all off, they're pet friendly. Six Ten can truly be enjoyed by all. Datz falls into the category of one of the more unique places to eat in Florida, as well as one of the best restaurants in Tampa. Located in South Tampa, Datz is a deli and gastropub that adds a funky flair to comfort food. The menu offers craft beer and cocktails galore, bacon flights, mac & cheese stuffed in meatloaf, and fresh bed. The owners, Robert and Suzanne Perry, are dedicated to continue inventing, altering, and releasing new foods that will keep customers on their toes! Datz is open for breakfast, brunch, lunch, and dinner, so pop over any time of day on their newest cheesy concoction. This beer drinking experience is unlike any other on this list – particularly because it's entirely on wheels. Brew Bus Brewing has been serving their own craft beer onboard aboard their luxury busses since 2011. The busses take guests to multiple brewery locations to get a feel for as much of Tampa – and its beer – as they possibly can! 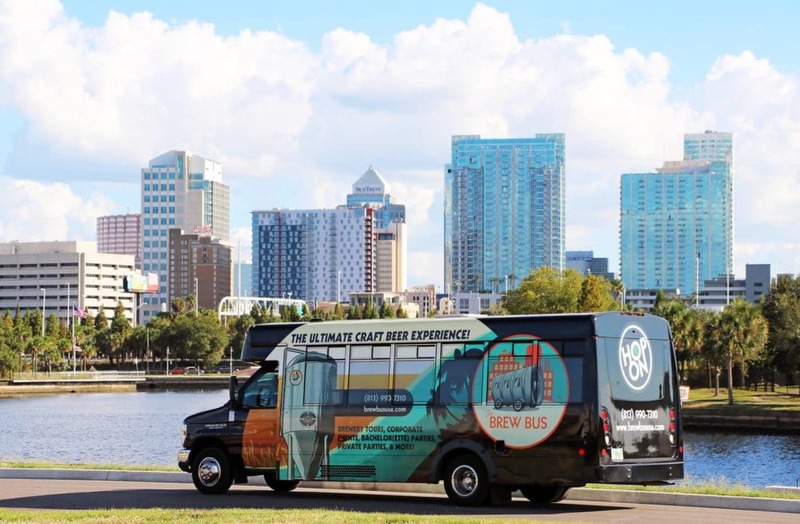 Not only is this a great way to try some brews you've never had before, Brew Bus also offers tourists a chance to see more of the Tampa Bay area. It's been a long week. You've just spent the past few days hopping all over the bay, and all you want is a slice of buttery, crisp, bread... With classy lunches, elegant dinner service, and a top-notch cocktail menu to go with it at one of the best restaurants in Tampa. Pane Rustica is one of the most popular places to eat in Tampa Bay. Known best for its variety of bread choices made in-house, Pane Rustica's menu can be as casual as a cheeseburger and as upscale as thepork tenderloin special with pear and cheese ravioli in a Marsala wine sauce. Treat yourself on your last night in the bay and experience local, Tampa eats. You deserve it. You've just spent the past 20 minutes listening to us gush about the most innovative breweries and the best restaurants in Tampa Bay... Have you bought your ticket there yet? Clearly the Sunshine State has a lot more to offer than warm weather, fresh-squeezed orange juice, and Harry Potter World. Tampa, Florida is quickly developing into foodie paradise and a beer-lover's heaven. Don't believe us? Check it out for yourself and report back to us on all the delicious foods and crisp brews you'll be sipping on. We're waiting.